GREG WILPERT: The Trump administration is pushing the UN to recognize the representative of self-declared interim president Juan Guaidó as Venezuela’s legitimate ambassador to the United Nations. Venezuela’s current ambassador to the UN, Samuel Moncada, informed the public last week that in order to achieve its goal of expelling him, the Trump administration froze the bank accounts of the Venezuelan mission to the UN. According to Moncada, this move prevents Venezuela from paying its employees at the UN mission and represents a clear violation of US obligations towards the UN that it agreed to when New York City was designated as its headquarters. MIKE PENCE: “But now that nations across this hemisphere have spoken, the time has come for the United Nations to recognize interim President Juan Guaidó as the legitimate President of Venezuela and seat his representative in this body. This body should revoke the credentials of Venezuela’s representative to the United Nations, recognize interim President Juan Guaidó and seat the representative of the free Venezuelan Government in this body without delay. With all due respect, Ambassador Moncada should not be at this meeting. He should return to Venezuela and tell Nicolás Maduro that his time is up. It is time for him to go. AMB NEBENZIA: We categorically reject the methods of the United States with regard to Venezuela. 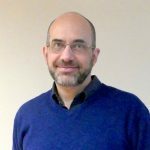 With one hand, by continually imposing new sanctions and restrictions that prevent the country from developing normally, it is keeping Venezuela in a choke hold, when international assistance to States that need it should be designed to establish a situation that enables a State to take care of its own citizens. And with the other hand it is picking Venezuelans’ pockets, expropriating Venezuelan assets in Western banks. Just since the beginning of this year the United States has taken more than $30 billion from Venezuela, asserting that now only self-proclaimed President Guaidó can use that money. The overall damage that United States actions have done to the Venezuelan economy since 2013 amounts to hundreds of billions of dollars. And despite all of that it keeps calling more loudly than anyone for help for the people of Venezuela. AMB MA ZHAOXU: China opposes any interference by external forces in Venezuela’s internal affairs; military intervention in Venezuela; and the use of the so-called humanitarian issue to achieve political aims. History has shown repeatedly that unilateral sanctions only further complicate situations and affect people’s daily lives. They do not help resolve problems or bring peace to a country. On the one hand, we hear fine words about caring about the well-being of Venezuelans, while, on the other, we see increasingly tighter sanctions on the country. These two things are not consistent, and the underlying motive is dubious. 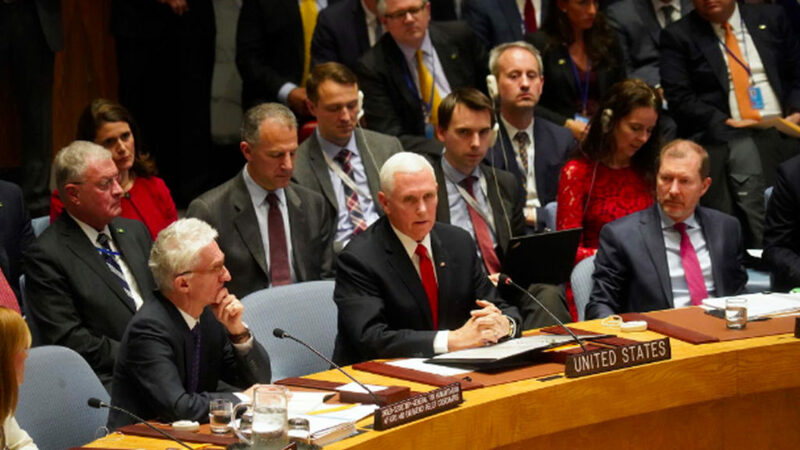 GREG WILPERT: Finally, Venezuela’s ambassador the UN, Samuel Moncada was able to respond to the many allegations Vice-President Pence had launched against the government of Venezuela. One of the issues Moncada referred to was Pence’s allegation that just a day earlier the Organization of American State’s members accepted the representative of the self-declared interim president Juan Guaidó – Gustavo Tarre – as Venezuela’s new representative to the OAS. AMB MONCADA: To begin, we must respond to the host of falsehoods spoken here by the Vice-President of the United States while we are supposed to be discussing the humanitarian situation. I must clarify matters before the international community, the people of Venezuela and the media. He lied in saying that yesterday the region as a whole rejected the representative of the Bolivarian Republic of Venezuela at the Organization of American States. That is false. He is misinformed. It is a problem with his lawyers. Yesterday, in its eagerness to promote a coup d’état in Venezuela and impose a puppet Government to serve the interests of the United States to enable it to pillage our homeland, they sacrificed the founding Charter of that organization, which is the equivalent of the Charter of the United Nations. They distorted the law to the extent that what was approved was not the expulsion of the representative of the Bolivarian Republic of Venezuela but the inclusion of a representative of the National Assembly. What they did there yesterday is a legal absurdity, since the Organization of American States, like the United Nations, is an organization of States, not of assemblies. The only State present in that organization is the Bolivarian Republic of Venezuela. Therefore, the Bolivarian Republic of Venezuela was not expelled from that organization. GREG WILPERT: Indeed, the OAS resolution of April 9th clearly stated that the OAS permanent council would accept “the appointment of Mr. Gustavo Tarre as the National Assembly’s designated permanent representative, pending new elections and the appointment of a democratically elected government.” In other words, by a narrow majority, the OAS permanent council created a new type of representative, designated by Venezuela’s legislature as a temporary representative to the OAS. Venezuela’s president Nicolas Maduro, however, already announced, two years ago, that will permanently leave the OAS by the end of April of this year.